Searching for the perfect present or a treat for someone special then this class might be just what you are looking for. So many of us are keen to spend more quality time with our children and to learn new skills together, this class will allow you to do both. 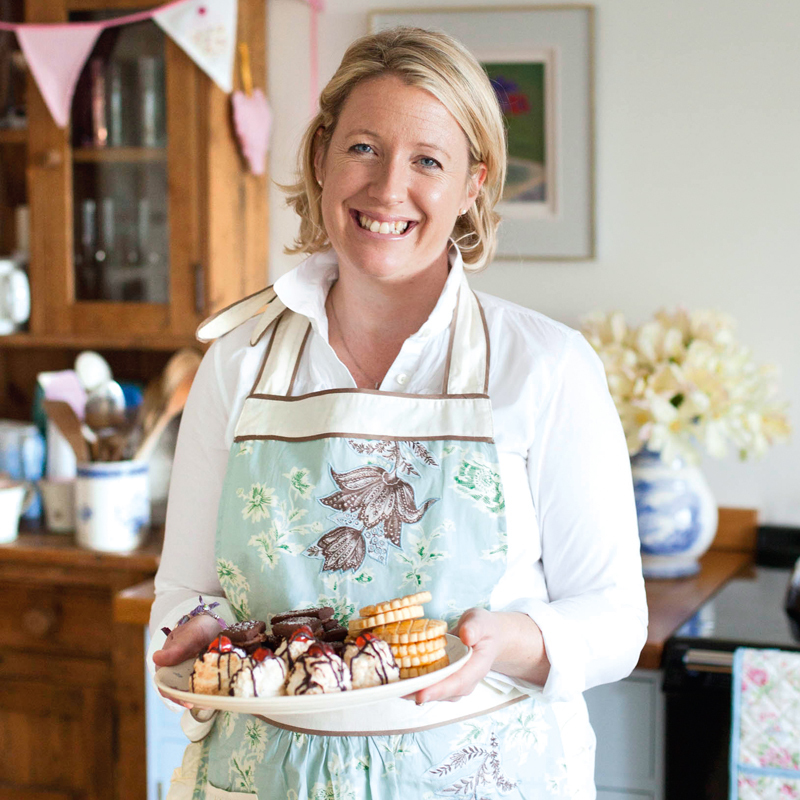 Join Miranda for a fun-filled baking day with your child (son, daughter or god child etc). Bake delicious cakes and biscuits and learn fabulous top tips from Miranda that will ensure you leave confident baking together and with the skills to recreate lovely recipes and experiment at home. Children (and grown ups) will enjoy feeding the chickens and collecting their eggs to use in the day’s recipes. Mugs of coffee and tea for grown ups and hot chocolate for the children with Miranda’s homemade cake or biscuits. Enjoy a simple homemade lunch in Miranda’s kitchen or a picnic in the treehouse – weather permitting. Find out more about The Great British Bake Off and Bake Off fans can ask what being on the show was really like! Take home your baked goodies to impress family and friends. Why not bring a friend and their child too?! Miranda’s ten year old daughter, Eleanor will be baking with her throughout the class. £150 for one adult & one child.